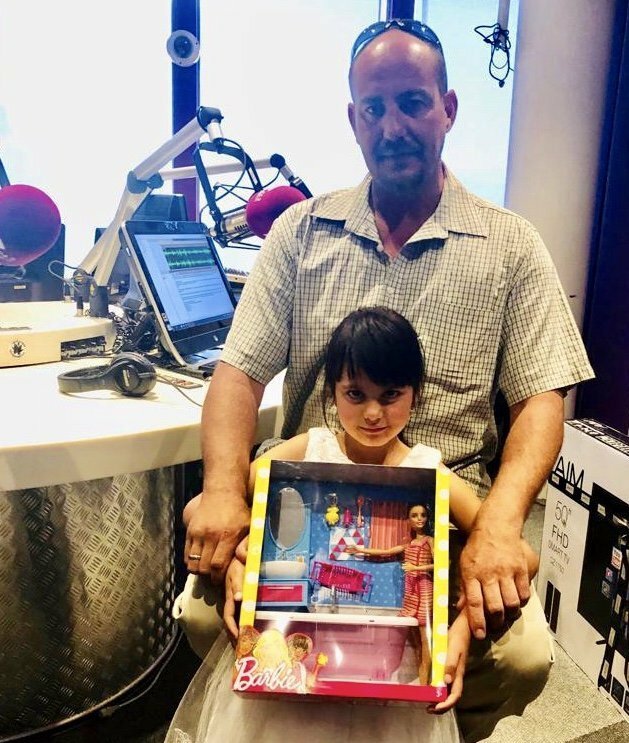 Six-year-old Karien and her dad, Etienne lost everything. They need some angel help to make their house a home again. "This little girl is lucky to be alive. But, not only did she lose her mom, she also lost her little home and she is only 6”, writes Toni Ford. She wrote to Good Morning Angels on behalf of Karien Kruger and her widowed dad, Etienne. Karien’s mom, Elmien was diagnosed with colon cancer a year ago and passed away in April last year. Shortly after loosing his wife, Etienne also lost his job due to retrenchment as well as the home they lived in. This is when he asked Toni to take care of Karien. Etienne found another job, for a minimum wage, and the only home he could afford for Karien and himself was a small structure in a caravan park in Bredell on the East Rand. Just as they started to make a life for themselves as a family again, tragedy struck: everything they owned was destroyed in a fire in the caravan park. Karien’s after-school care family, the Goosens, took her and Etienne in, where they still live in a cottage on the property. However, they have nothing of their own and Etienne has no idea how he will provide for Karien in the future, or ever be able to make their own home again. Jawitz Properties will help Karien and Etienne make their house a home again by providing for: Karien’s school fees and other school requirements, special bedding and finishes for Karien’s bedroom, a brand new flat screen TV and microwave oven for dad, as well as a year’s worth of groceries (R2,5K x 12) - all to the total value of R50 000,00. Bruce Goosen has offered to assist them with a bank account and to make sure that the money is used as intended. I have been sending letters to you for a while. I started off asking if there was someone to help my sister-in-law, as she was very sick with cancer at beginning of this year. She has since died, leaving behind her six-year-old daughter and husband. After her death, they had to move out of the place they were staying. We then we found them a place in a caravan park in Bredell. They hadn’t stayed there long - and a few nights ago their home in the caravan park burnt down. This little girl is lucky to be alive. But, not only did she lose her mom, she also lost her little home and she is only 6. She has been through so much and just needs a break. Her little heart is broken and shattered, all her clothes and bed and everything is gone. Luckily her aftercare has taken her and her father in, but they have nothing of their own left, and so little hope. Please, if there is anyone that can help my brother in law and niece, I will be truly grateful. Please, I plead with you, help them find a little hope at the end of this awful tunnel.